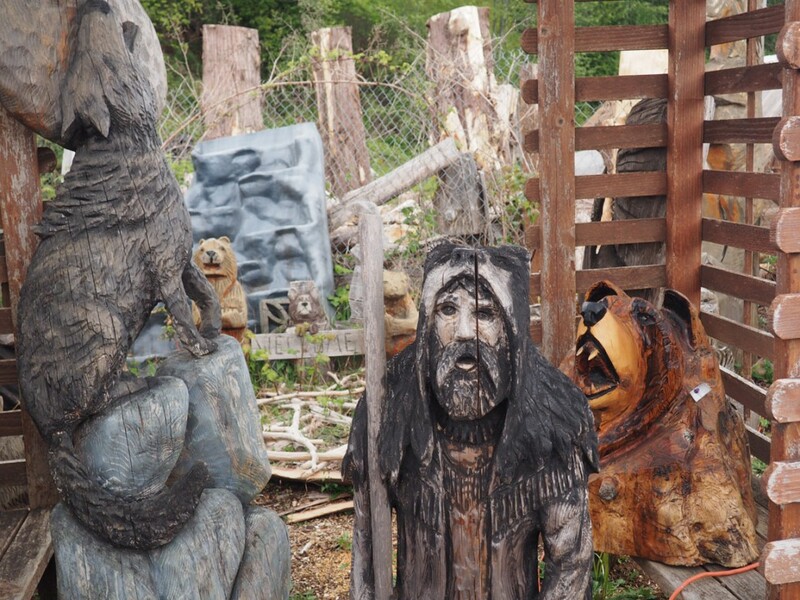 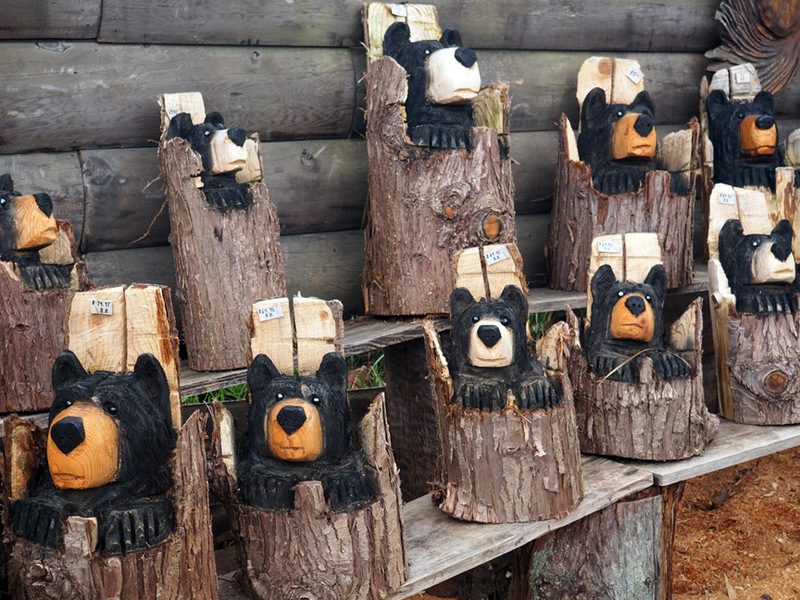 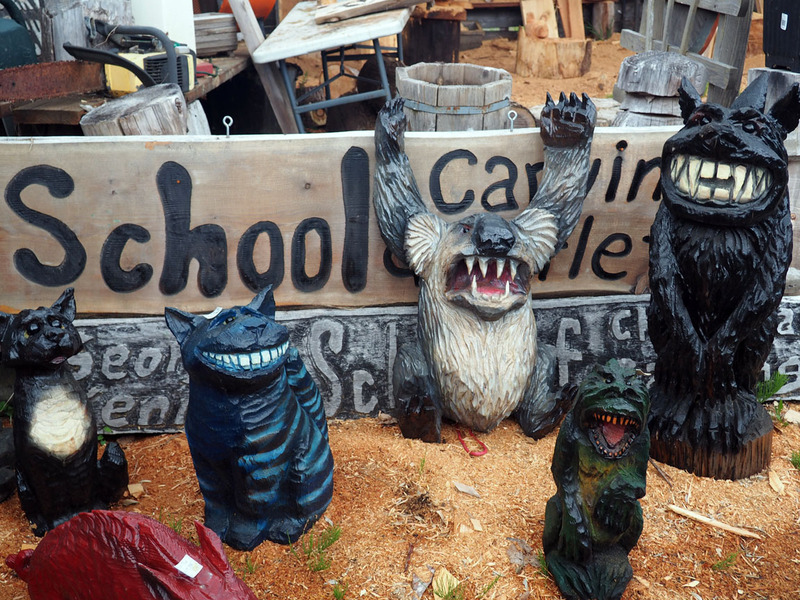 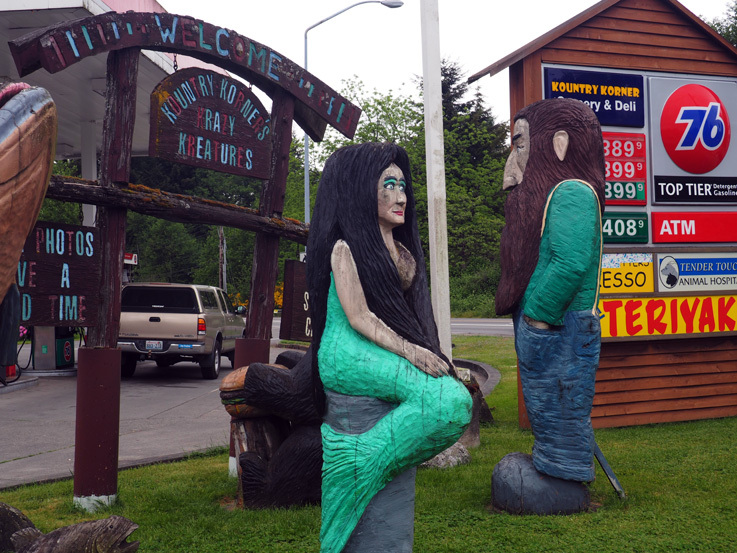 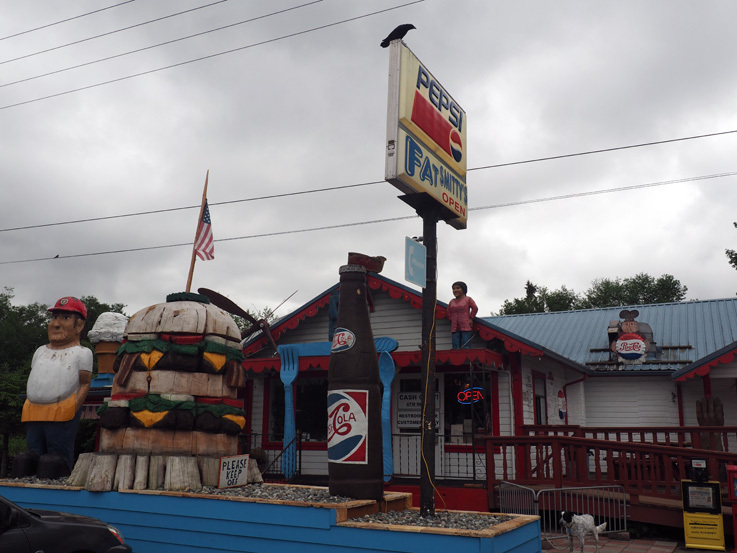 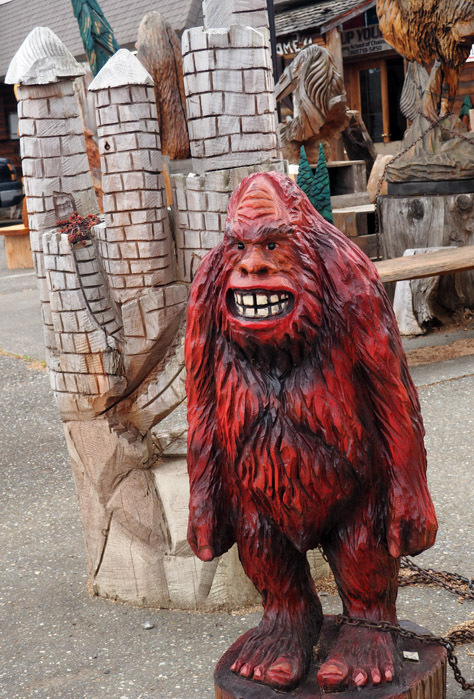 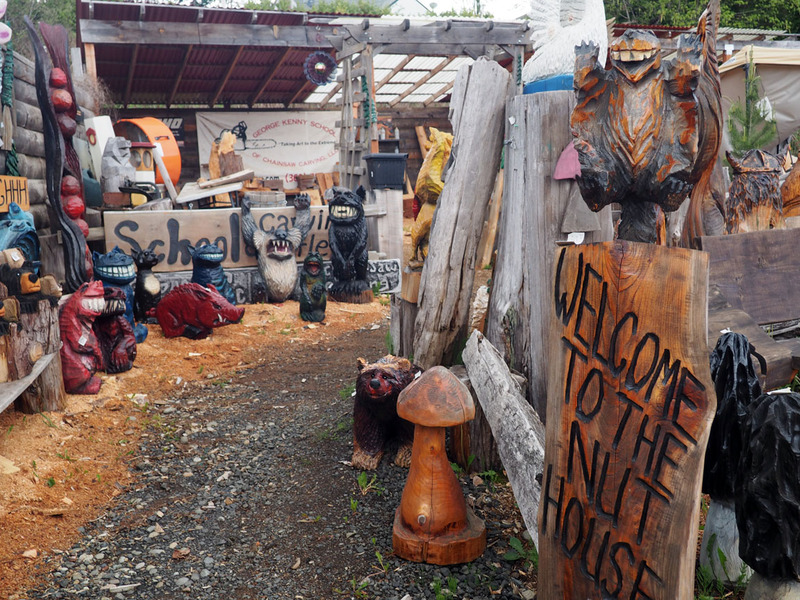 I heard there was a place in Allyn with a ton of chainsaw carvings, but I needed to see it to believe it. 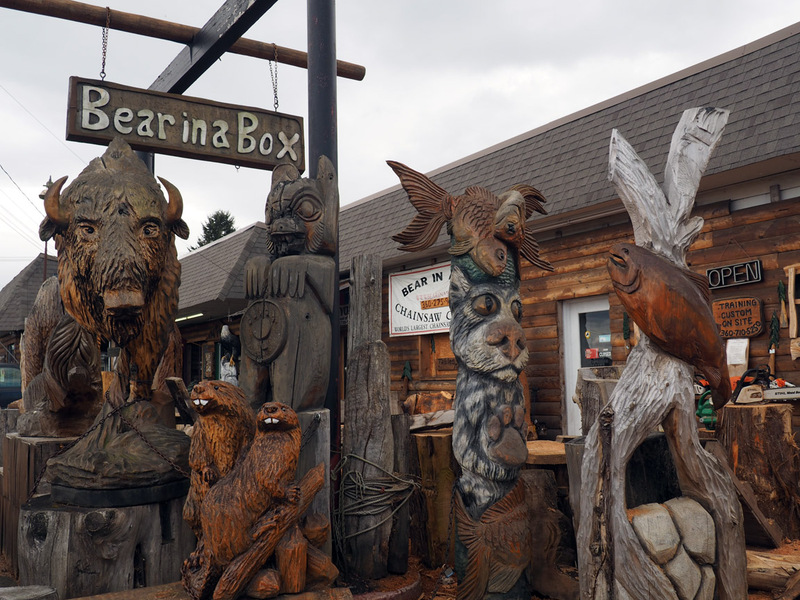 When we arrived at Bear in a Box, I still hardly believed it. 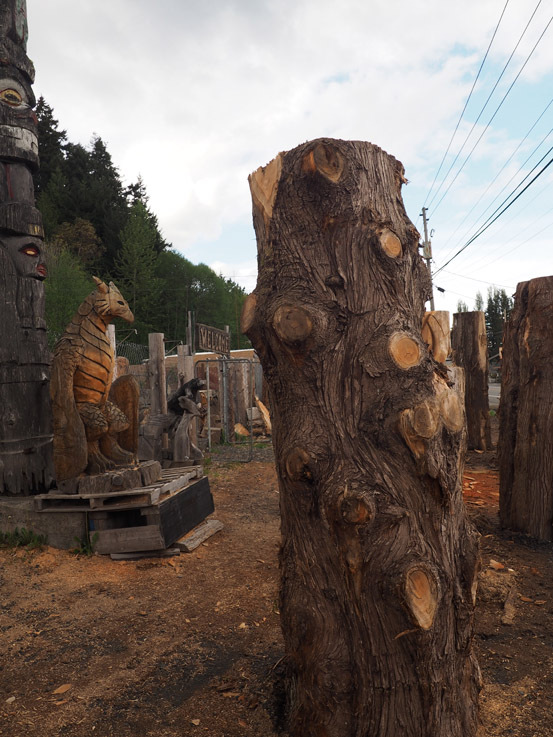 The smell of freshly-cut cedar is hanging in the air, and there are so many carvings in different stages of completion, it’s hard to take them all in. 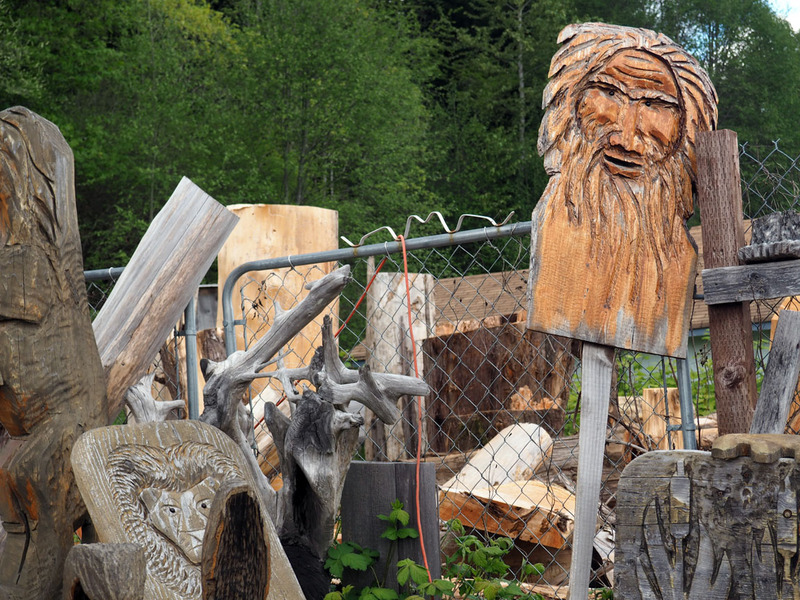 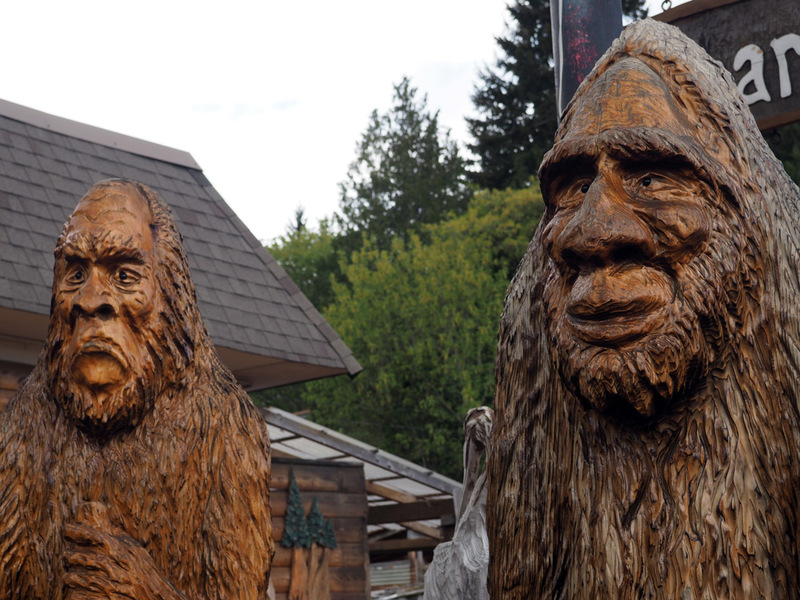 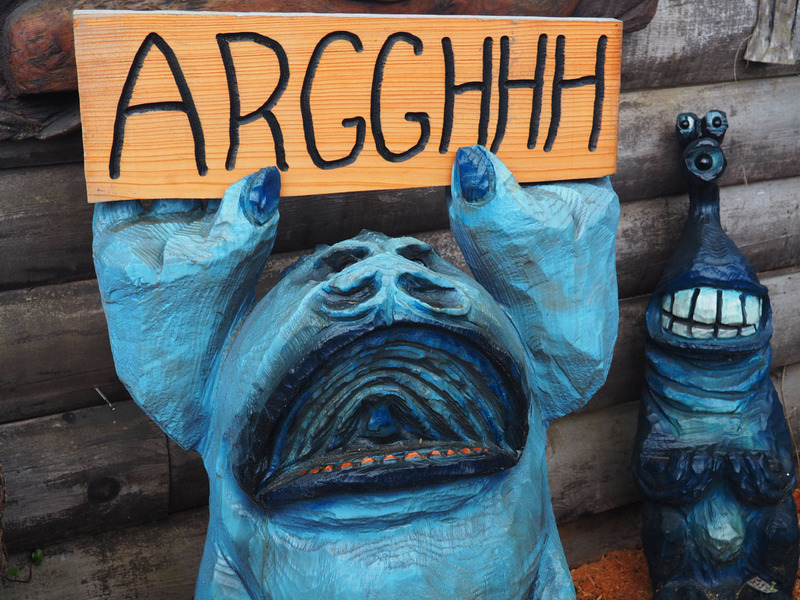 When we remarked aloud at how great the air smelled, a man called from an elaborately-carved bench “At least you can smell it, I can’t anymore.” We made our way over and met Don Benson, one of the chainsaw artists. 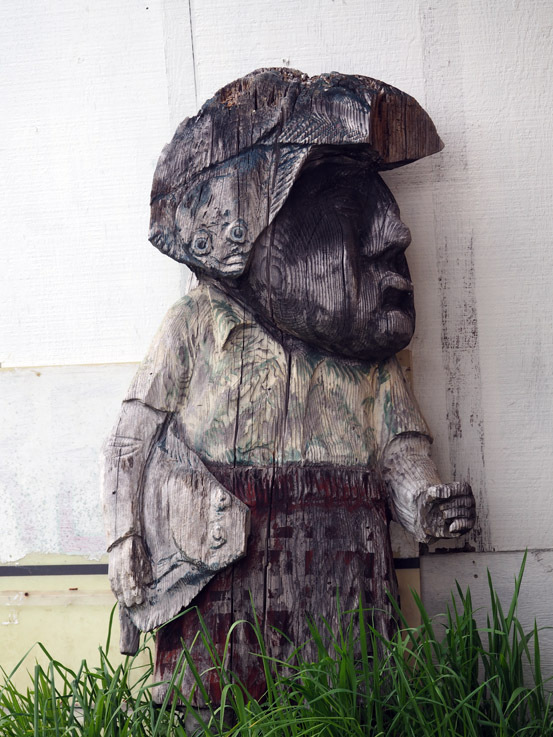 He started carving 8 years ago, and made the switch to full-time 6 years ago, carving and teaching classes at Bear in a Box. 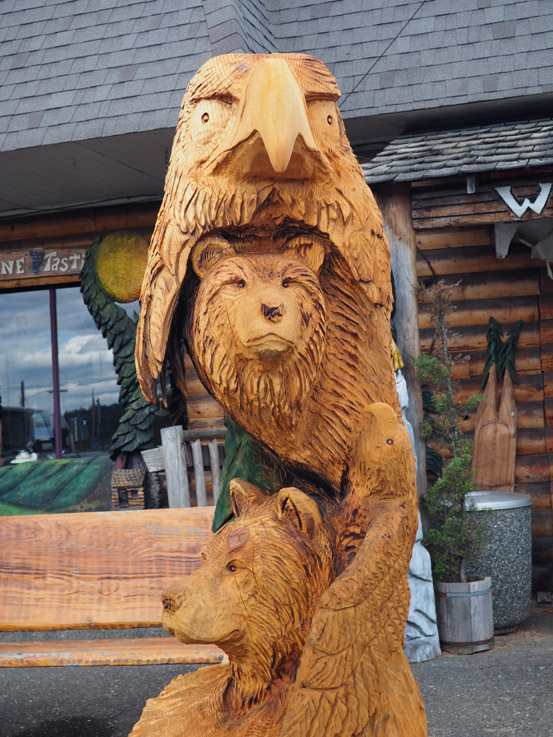 This year, he took fourth in the national competition in Yreka, CA, with the above carving. 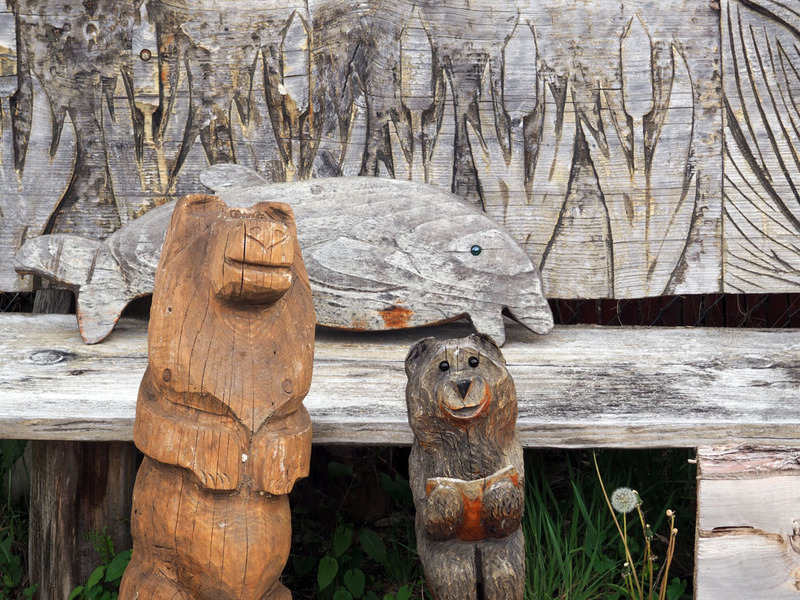 We learned that some carvings are done start to finish with saws, and some require a small amount of hand tools–a bit of sanding for a smooth beak, smaller tools for the smallest detail work.